“Over the course of the drill, the Admiral Grigorovich frigate performed urgent battle and mission preparations and evaded a simulated enemy to enter the dispersal area. Then, while sailing, the Kalibr missile system combat units performed detection and acquisition of waterborne targets imitating a squadron of simulated enemy ships and, subsequently, fired cruise missiles at them,” the statement reads. Hey Buddy!, I found this information for you: "Russia’s frigate Admiral Grigorovich strikes ‘enemy targets’ in Black Sea drills". 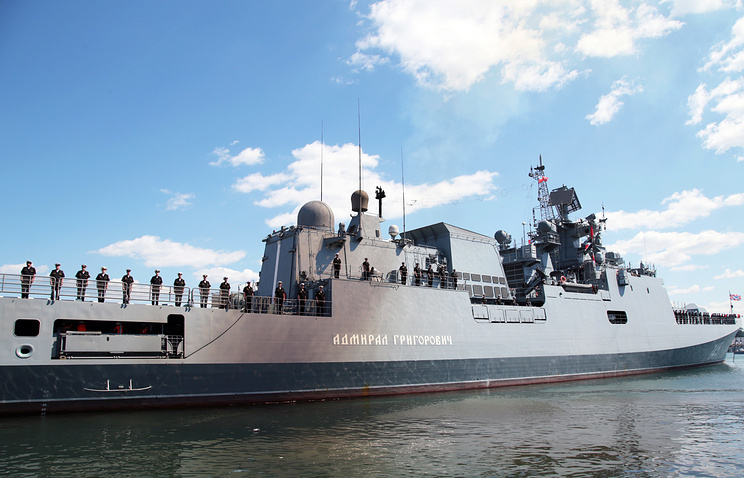 Here is the website link: https://russophile.org/russias-frigate-admiral-grigorovich-strikes-enemy-targets-in-black-sea-drills/. Thank you.